Bible Reference: Exodus chapters 11:1 – 12:36. Moses followed God’s direction and asked to allow the Israelites to go into the desert and worship God. Pharaoh’s answer was an emphatic “no”; he was not going to allow the valuable Israelite slaves leave Egypt. As a result of Pharaoh’s pride, stubbornness, and manipulative behavior, God visited 10 plagues on Egypt. Two plagues – the 7th and 10th plague — have direct relevance to plants. The seventh plague was a severe rain storm that involved thunder, lightning, and hail. The hail caused the barley and flax to be destroyed. The wheat and spelt were not destroyed because they ripened later. These plants – barley, flax, wheat, and spelt – will be described in later chapters of God as a Gardener. The NIV Study Bible (2002) labeled the 10th, and final plague sent on Egypt as “The Plague of the Firstborn.” The 10th plague was the death of the firstborn of every man and animal in Egypt with the exception of those of the Israelites. To keep the death angel from entering Israelite homes, God required the Israelites to slaughter a lamb or goat and place the animal’s blood on the sides and top of their door frames. That same night, the meat of the slaughtered animal was roasted. Then, the meat, bitter herbs, and unleavened bread were eaten. God told the Israelites to eat bitter herbs with their meal to remind them of the bitterness they experienced in Egypt. Common practice was for Egyptian taskmasters to whip Israelite slaves. The Israelites must have experienced terrible bitterness when their newborn sons were taken from them and thrown into the Nile River to die. They were powerless to stop these murders. The final way bitter herbs symbolized bitterness was related directly to the death of Egyptian first born sons. The death of Egyptians’ first-born sons was the price of Israelite freedom. Pharaoh’s resolve to keep the Israelites was not shattered until his son was killed. Individual, family, and national freedom through death of children – even children not their own — would have been a source of bitterness for the Israelites. In Egypt bitter herbs included endive, chicory, dandelion, and wild lettuce. The type of bitter herb used in the first Passover meal may have varied among families. Exodus 10:15 recorded that “nothing green remained on tree or plant in all of Egypt” after the eighth plague, the plague of the locust. Possible some families stored one type of bitter herb, while other families had another bitter herb available to them. 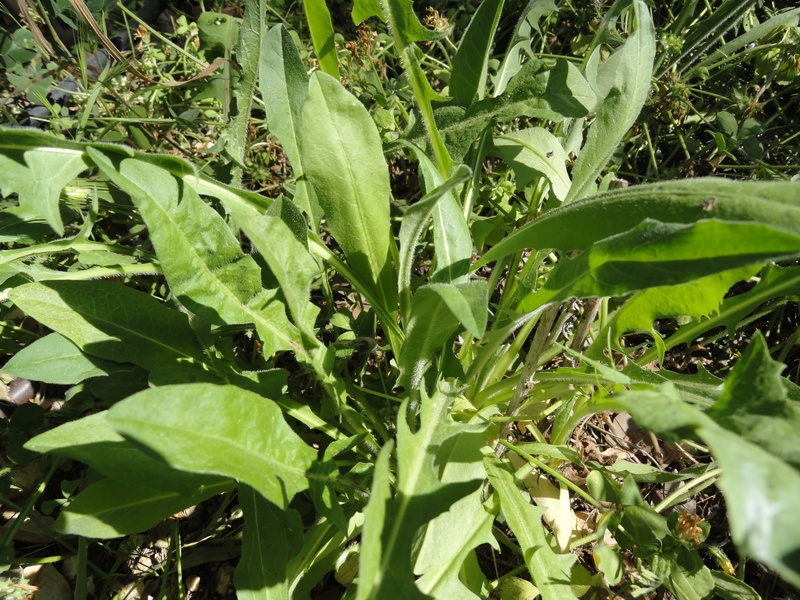 In this chapter, endive, Cichorium endivia, is used as an example of a bitter herb. In early Greek translations of the Bible, the word “endive” was used in place of “bitter herbs.” Although the origin of endive is lost from history, the first wild species may have grown in Turkey and Syria. Probably, endive was native to India, China or Egypt. Endive produces attractive light blue flowers which grow on stems that stand above the leafy foliage. Endive is used almost exclusively in raw salads. Its slightly bitter flavor is often more appreciated by Europeans than Americans. Adding a sweet or oily salad dressing can balance the bitter taste. The symbolism of bitter herbs including endive is clear from the name – they refer to bitterness. Bitterness is something intensely distressing or disturbing to the mind (Merriam-Webster Incorporated , 2005). Bitterness is an expression of severe pain, grief, or regret. Writing to the Ephesians (4:31), Paul told them to get rid of all bitterness. Yet, God wanted the Israelites to eat bitter herbs at the annual Seder meal during Passover to remind the Israelites of their bitterness in Egypt. How are we to reconcile putting off all bitterness with God’s direction to the Israelites to remember their bitterness annually? I think there is a difference between remembering a bitter occasion as a precursor to celebration of a better life, versus remembering bitterness to the point that it leads to resentment of God, situations, and people. Certainly, God did not tell the Israelites to hate or resent the Egyptians. Rather, the Seder meal which included bitter herbs was a meal celebrated the Israelite exodus from Egypt. Step 1, we need to forgive whomever and whatever situation caused the bitterness in us. The Israelites needed to forgive the Egyptians for enslaving them. Step 2, we need to forgive ourselves for contributing to the situation that caused bitterness. The Israelites needed to forgive themselves for remaining in Egypt for 400 years, well after the famine in Canaan was over. Step 3, we need to forgive God. Saying we must forgive God seems odd and almost improper. Does the created forgive the creator? In this situation forgiveness means we need to acknowledge our bitterness toward God for letting us get in a devastatingly painful situation. I think that some Israelites blamed their bitterness on God. After God led them out of Egypt, probably some cried “Where were you when my son was murdered? If you would have freed us sooner, my son would be alive.” The reality is that we do blame God for some, or even much, of our bitterness. If we want to get rid of bitterness toward God, we need to tell God our feelings, tell God we forgive him, and really mean it. Step 4, we need to ask God’s forgiveness. Without bitterness in our hearts, we can confess our sinful feelings of bitterness toward God and ask his forgiveness. From time to time, we may still remember the bitter situation; however, the pain of it will be gone or go away over time. For years I had bitterness in my heart over a situation. I tried a number of ways to get rid of it, to no avail. Then, I read Total Forgiveness and implemented the four steps of confession and forgiveness that Kendall recommended. Now, I am free of the bitterness of this situation. Thank you, God. Reflection: The past cannot be changed, but the future is whatever you want it to be. Is there bitterness in your life that needs attention? Read the account of Moses and the Plague of the First Born described in Exodus chapters 11:1 – 12:36. After his encounter with God at Mount Horab, Moses returned to Egypt. Following God’s direction, Moses met with Aaron and the Israelite elders. Then, Moses met with Pharaoh and asked Pharaoh to allow the Israelites to go into the desert to worship God. Pharaoh’s answer was an emphatic “no”; he was not going to allow the valuable Israelite slaves leave Egypt. As a result of Pharaoh’s pride, stubbornness, and manipulative behavior, God visited 10 plagues on Egypt. Two plagues – the 7th and 10th plague — have direct relevance to plants. The seventh plague was a severe rain storm that involved thunder, lightning, and hail. The hail caused the barley and flax to be destroyed. The wheat and spelt were not destroyed because they ripened later. These plants – barley, flax, wheat, and spelt – will be described in later chapters of God as a Gardener. God told the Israelites to eat bitter herbs with their meal to remind them of the bitterness they experienced in Egypt. Originally a free people living in Egypt, the Israelites experienced bitterness when they were enslaved by the Egyptians. During these years of servitude they were worked brutally making bricks, planting and harvesting crops, and pumping water from the Nile River into fields for irrigation (Deuteronomy11:10). Common practice was for Egyptian taskmasters to whip Israelite slaves. The Israelites must have experienced terrible bitterness when their newborn sons were taken from them and thrown into the Nile River to die. They were powerless to stop these murders. The final way bitter herbs symbolized bitterness was related directly to the death of Egyptian first born sons. The death of Egyptians’ first-born sons was the price of Israelite freedom. Pharaoh’s resolve to keep the Israelites was not shattered until his son was killed. Individual, family, and national freedom through death of children – even children not their own — would have been a source of bitterness for the Israelites. In this chapter, endive, Cichorium endivia, is used as an example of a bitter herb. In early Greek translations of the Bible, the word “endive” was used in place of “bitter herbs.” Although the origin of endive is lost from history, the first wild species may have grown in Turkey and Syria. Probably, endive was native to India, China or Egypt. 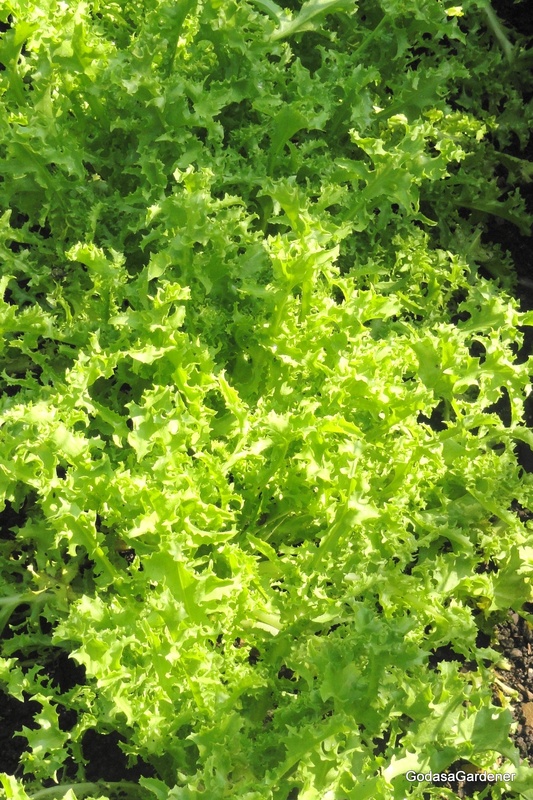 Endive grows best in full sun to partial shade and needs regular watering. Very hot weather makes endive tough and bitter. Endive tends to rot in cold, damp weather and does not tolerate frost. In Egypt, endive grows in January. Usually endive can be recognized and differentiated from other lettuce and/or greens by its appearance. It grows in a rosette pattern which is a cluster of leaves in crowded circles or spirals. Endive leaves are about five to six inches long and bright green in color. Endive produces attractive light blue flowers which grow on stems that stand above the leafy foliage. Endive is used almost exclusively in raw salads. Its slightly bitter flavor is often more appreciated by Europeans than Americans. Adding a sweet or oily salad dressing can balance the bitter taste. Step 3, we need to forgive God. Saying we must forgive God seems odd and almost improper. Does the created forgive the creator? In this situation forgiveness means we need to acknowledge our bitterness toward God for letting us get in a devastatingly painful situation. I think that some Israelites blamed their bitterness on God. After God led them out of Egypt, probably some cried “Where were you when my son was murdered? If you would have freed us sooner, my son would be alive.” The reality is that we do blame God for some, or even much, of our bitterness. If we want to get rid of bitterness toward God, we need to tell God our feelings, tell God we forgive him, and really mean it.